I wonder what my father, who was born in North Korea long before there was a North and a South, would think about tonight’s summit between President Trump and North Korea’s Supreme Leader Kim Jong-un. 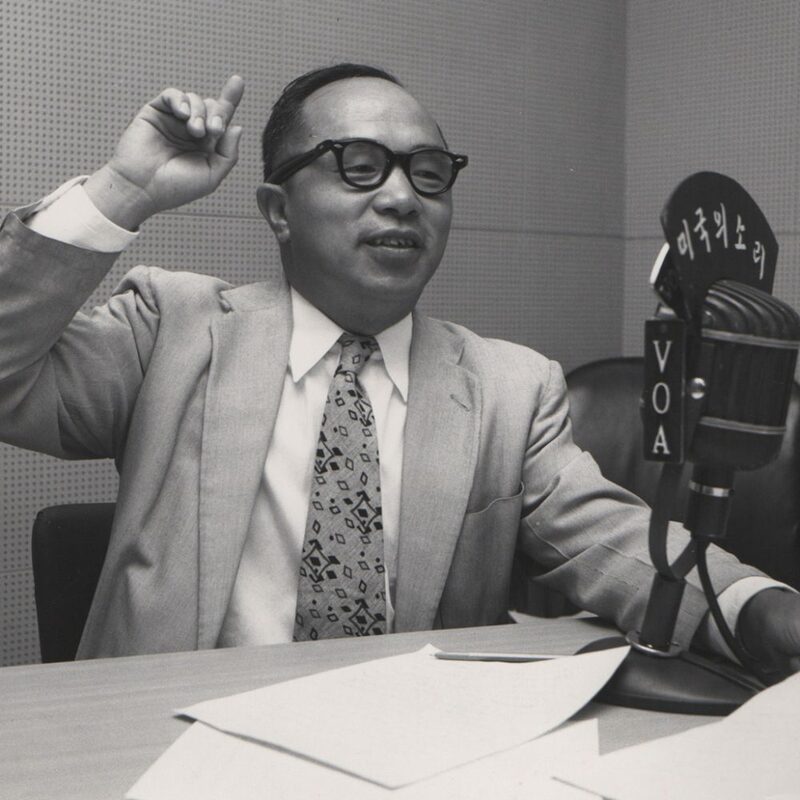 For nearly four decades here in the States, he was a “Voice of America,” broadcasting a mix of news and propaganda during the Korean War and the frosty armistice that followed. My father was raised in Pyongyang where he was educated by the Presbyterian missionaries in the “Jerusalem of the East”—schools and churches that proliferated in that city until the Pacific War. Kim Il-sung, Kim Jong-un’s grandfather and the first leader of North Korea, also attended this Christian school, and my uncle was his classmate. My father left Pyongyang in 1937 to study in America, and though he did return to South Korea after the Pacific War, he would never again see his ancestral home. 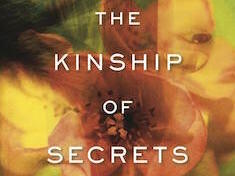 The separation of North and South Korea also played out within our own family. My father began his married life in Seoul and came to America in 1948 to show his wife this great country. Planning to return in a few years, they left behind their middle child, a daughter, with relatives. Everything changed on June 26, 1950 when North Korea invaded the South, and the war that followed, along with strict U.S. immigration laws, kept my parents separated from their daughter for ten years. That story is covered in a Q&A here. 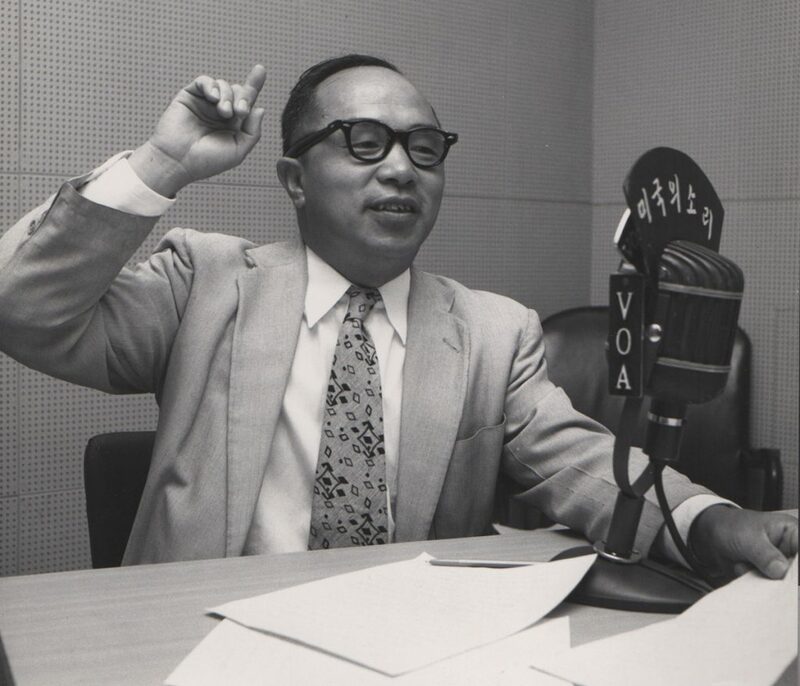 After the Korean War, still separated from his daughter, my father would bring home to Takoma Park, Maryland, tapes of the cultural programming sent over the airwaves to North Korea, to entertain us, his five other children, before we had TV. 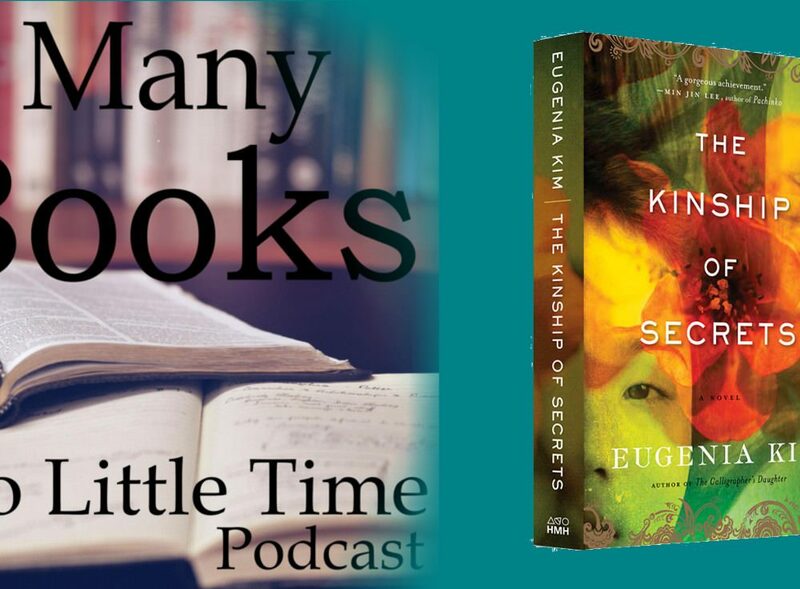 I imagined little Korean children behind the Iron Curtain sitting around the radio, much as we sat around the tape player, listening to classical music, “The Sound of Music,” or “The Wizard of Oz.” Would they think all Americans were like the characters in those two musicals? Could they see through the radio waves that little Korean children just like them were listening across the ocean? But free radio was only allowed for the most trusted and loyal elite classes in North Korea. As a much younger man, my father studied Marx alongside the Bible, believing his country needed new ideas. He would later disavow communism because he didn’t believe a nation could be morally and ethically sustained without God. 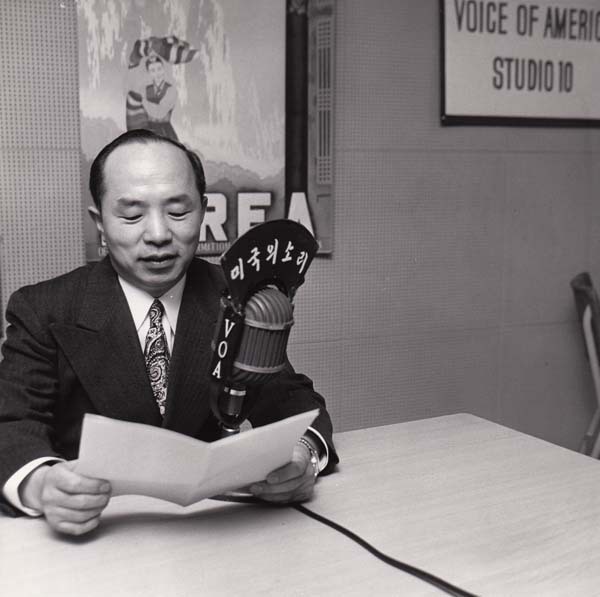 Jacob Kim in the 1950s broadcasting to North Korea at the VOA. In the basement of my home, cartons of my father’s VOA scripts gather dust, ghosts of words sent to North Korea to inform a cloistered nation about the wider world around them. I have been unable to throw these boxes away, perhaps because buried in them is his hope that he was somehow touching his home. So many years after his death, I believe my father would be heartened by Kim Jong-un’s Western education but dispirited by that family’s long history of megalomanic dictatorship. Considering our president’s mercurial disposition, he would be measured, cautious, and doubtful at the prospect of denuclearization, and even more doubtful about reunification. But I imagine with that same little spark of hope that sustained him in his work, he would pray that his homeland would, at last, achieve real peace. Who’s to say the work your father spent his life pursuing aren’t the small building blocks leading to tomorrow. Success on the peninsula, don’t go looking for it….it’s already happened!